If you’ve ever considered an online nursing degree, you might be interested to note that the Bureau of Labor Statistics indicates projected job growth in nursing to be considerably higher than that of the national average. In fact, the number of available nursing jobs for RNs is projected to grow by 19 percent between 2012 and 2022. Positions for nurses who diagnose and treat patients is projected to increase by 20 percent throughout this same time period. Clearly, it’s a great time for those considering a career in healthcare to get an online degree in nursing. Today, many degree programs are available online. Due to the care-related emphasis of the nursing career, some programs require in-classroom work as well as online education. Others can be completed almost entirely online. Several LPN programs allow students to complete 50 percent or more of their coursework online. RN to BSN programs are some of the most common online nursing degree programs. MSN coursework can often be completed online. The nursing profession can be entered in multiple different ways. Many nurses begin with an associate’s degree in nursing, or they get their LPNs through a nursing diploma program. The best programs include clinicals that require in-person participation. This helps nursing students become familiar with a wide variety of work environments available to nurses. Other nurses enter the career after completing a four-year BSN program. While some of this training is available online, some in-class and in-person training is generally required. 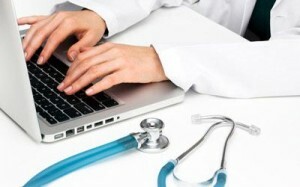 Online nursing coursework is often focused on nurses seeking continuing education. However, for BSN programs, many general education requirements can be completed online. Once you have your degree in nursing, many different job opportunities will open up for you. As technology and medical research continues to advance, there will also continue to be a need for continuing education for all nurses and healthcare professionals. An online nursing degree is a great way to further your education and help you climb the corporate ladder as you pursue a career in a growing industry.